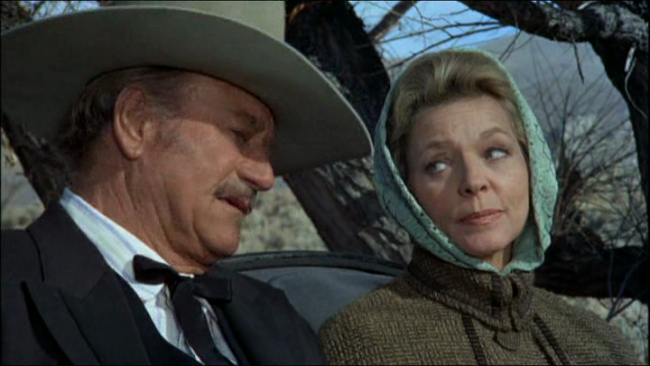 It is my belief that there has never been a better swan song in the movies than John Wayne’s role as J.B. Books in this Don Siegel directed film that surrounded Duke with the likes of former co stars Richard Boone, James Stewart and adding poignancy to the film, Lauren Bacall. 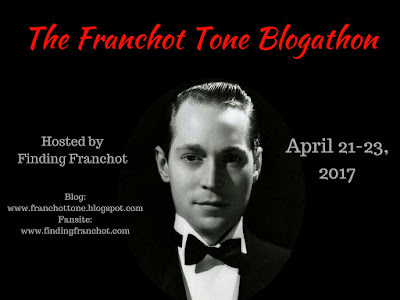 Join me in a celebration of Lauren Bacall films kindly put on by Crystal of In The Good Old Days of Classic Hollywood. Numbering myself among those who love the legend of John Wayne, this film hits a bull’s eye in mirroring his real life image and the toll that cancer was taking on Duke’s aging body. What Lauren Bacall brings to the film is of equal importance to film fans who can’t help but read in to seeing Betty practically playing herself and revisiting the real life pain and struggle of seeing her own husband Humphrey Bogart fading to the disease in 1956 ultimately dying in January of ’57. 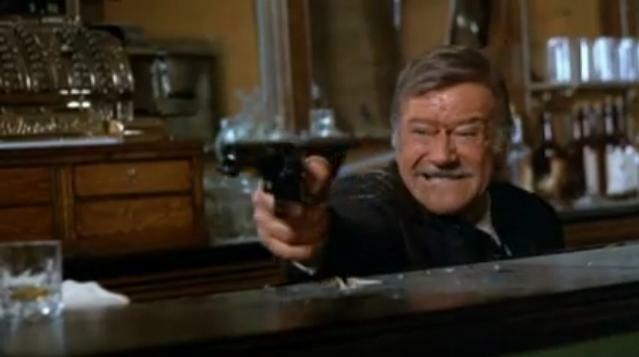 Smartly using a series of clips from Duke’s earlier films the movie helps to establish both the legend of John Wayne as well as the aging shootist he’s portraying here for the final time. The year is 1901 and Duke rides into Carson City to see James Stewart. Stewart is a kindly doctor that Duke has faith in. The diagnosis isn’t good. Cancer or for Duke fans who know his story, “the Red Witch.” It won’t be long before Jimmy suggests that Duke should go out with his boots on. A death befitting a man who has lived by the gun. While there is gunplay interspersed through out the films 100 minute running time, the heart of the film lies in Duke’s magnificent performance and his scenes with both Bacall and her son, played here by Ron Howard. He quickly points out to Bacall in a heated debate, “Mrs. Rogers, you have a fine color when you’re on the scrap.” It’s lines like these that bring there scenes to life. That and the pain so easily read in Bacall’s eyes as she watches the cancer eat away at Duke. When Duke tells her of his ailment, her reaction is one of silence and truthfully it just kills me. There is a fine cast here in Duke’s final film. Harry Morgan as the town sheriff who is eagerly awaiting the imminent death. Duke’s 1939 Stagecoach co star John Carradine naturally plays the undertaker. Scatman Crothers owns the local stable where he and Duke get to haggling. 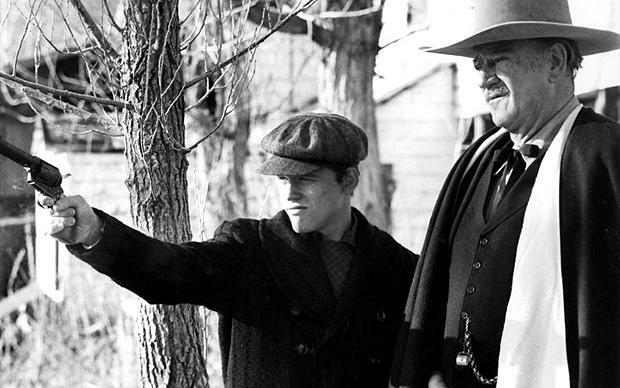 Ron Howard is perfectly cast at the right time in his career to take on the role of the young man who idolizes the Shootist and himself comes to feel the impending loss as it approaches. When Duke readies himself for his final day and Bacall knows that something is amiss, he gets her to promise, “No tears.” While she agrees I never do and I’m the first to admit that I get choked up every time. Not necessarily because of the film but because of the two actors involved and there place in film history. 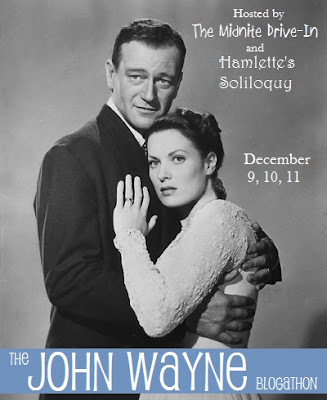 Either you love the legend of the Duke and the Bogie/Bacall story or you don’t. Awaiting Duke for the final showdown are three enemies that would like nothing better than to notch their pistol with his name. The quick tempered Bill McKinney. Old enemy and himself a legendary tough guy of cinema and TV, Richard Boone. Finally the smooth gambler and sharpshooter Hugh O’Brian. As Duke heads into the saloon to face them down with a spring in his aging step, Elmer Bernstein’s musical score picks up the pace to match the coming excitement. While Duke’s fate is sealed from the opening of the film, there really isn’t too many surprises in store. It’s just that the character J.B. Books expects to live his remaining days in dignity and to not be taken advantage of even in death. Lines like, ” I won’t be wronged. I won’t be insulted. I won’t be laid a-hand on. I don’t do these things to other people, and I require the same from them. 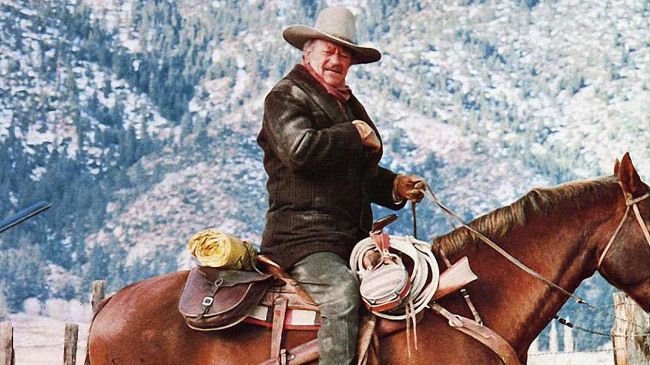 “ are so well suited to both the character and the public image of John Wayne himself. There is a wonderful story concerning the Duke returning to the set after a health setback and watching the dailies that had been filmed in his absence including much of the climatic gunfight. 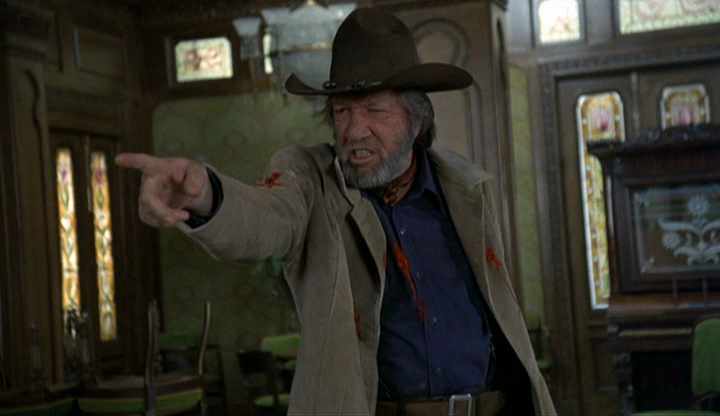 When reviewing the clips , it would seem that they had set up a shot that made it appear as if Duke was to shoot one of his enemies in the back. This didn’t sit well with Wayne as it wasn’t in character with his career and he had the set up changed to reflect a frontal attack as opposed to gunning a man down from behind. That is of course supposing the studio wanted the film completed as opposed to his walking. It’s interesting to note that Bacall’s first name in the movie is Bond. “That’s a cracker jack name for a woman.” says Duke. Ward Bond was of course one of Duke’s best friends having started out together under John Ford’s tutelage in the late twenties. Ward passed away in 1960. 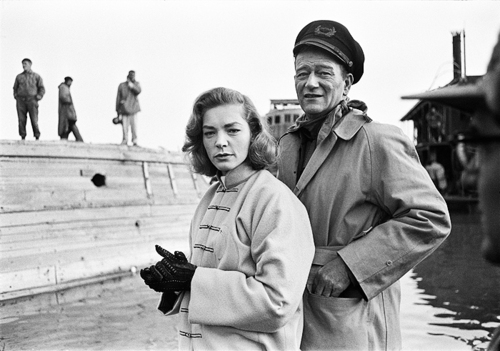 John Wayne and Lauren Bacall had previously worked together in the 1955 film Blood Alley under William A. Wellman’s direction. That film was actually produced under Duke’s Batjac Production label where as this Siegel film was credited to Paramount and the Dino De Laurentiis Company from an original source novel by Glendon Swarthout. 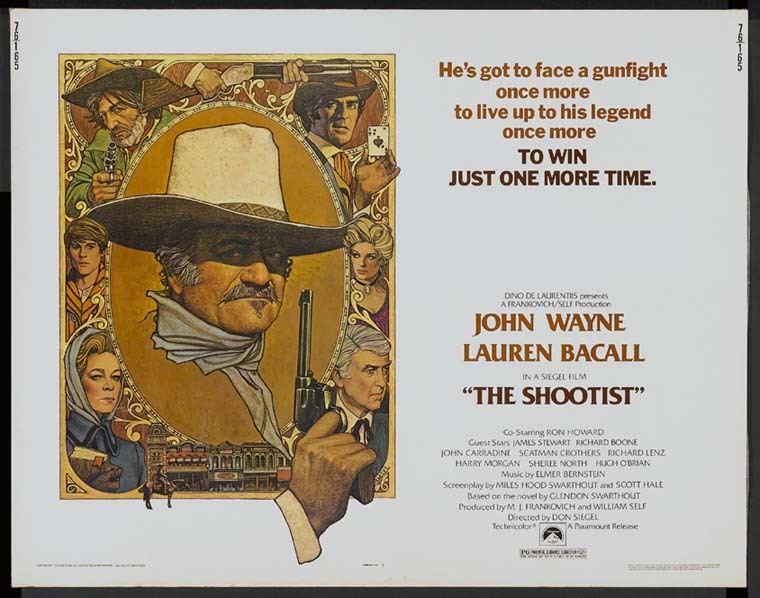 The Shootist is not one of the Duke films commonly seen on John Wayne day when a local TV station launches into a festival of titles. Perhaps it’s to downbeat. I think of it as a celebration of John Wayne’s film career and a fitting end to his iconic run. The added bonus of Bacall seals the deal due to the material of the story and her own history with that other icon of the movies. 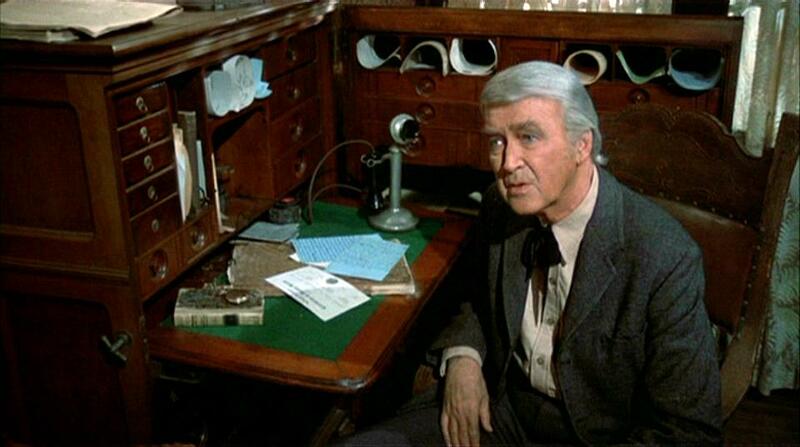 For more on Duke and a list of my favorite Wayne films, just point and click here. Don’t forget to check out the other articles celebrating both the films and legend of Lauren Bacall. 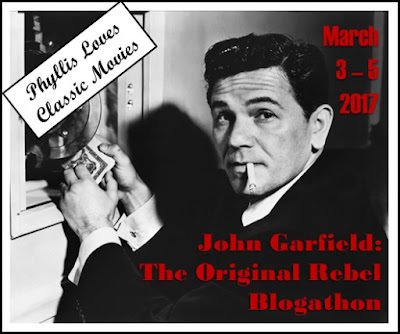 Pingback: THE LAUREN BACALL BLOGATHON HAS NOW ARRIVED | In The Good Old Days Of Classic Hollywood. I’ve only seen this film once, and it’s one you never forget. This is a terrific review. Much appreciated as I was hoping that my love of both Duke and the Bogie/Bacall story was going to be strongly felt. Many thanks and hopefully you watch this great film again. I really enjoyed reading this post. Thanks for reminding me how bittersweet this film is. Wonderful film and the word bittersweet a good fit. Thanks for having a look. 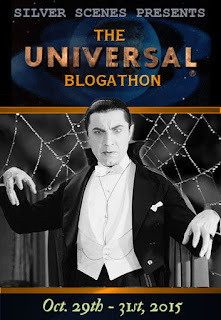 Pingback: THE LAUREN BACALL BLOGATHON: A BIG THANK YOU TO ALL PARTICIPANTS | In The Good Old Days Of Classic Hollywood. This essay came from the heart. Thanks. Excellent review. I saw this one in the theater on first run. 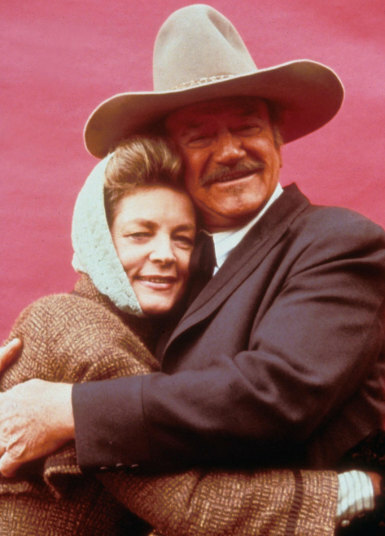 I had not made the connection between the first name of Lauren Bacall’s character and Ward Bond. Thanks Joe. I was just a little too young at the time Duke’s final film came out but of course I was captivated by all the films playing on TV. I love the Ward Bond connection here using Bacall. 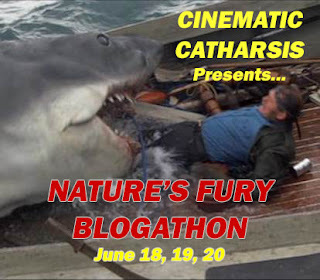 Thanks so much for participating in the blogathon with such a great entry. I enjoyed reading your article. Always fun to join in celebrations of classic films and themes. Great job! I enjoy doing it, and it’s great having a large reception of people joining in. This is a very nicely written review of a great film (I know that Bacall said it wasn’t a good film but I think she may have been a bit of a snob and was certainly wrong here). You should tidy up the little spelling errors (“there”,”too”) so that it reads even better. Good job.